Our experienced team at Physiotherapy Works! can reduce your pain and get you back inMotion as part of the inMotion Network of Physiotherapy Clinics and More! At Physiotherapy Works! our goals are restoration of function and return to gainful employment or your favourite activity. 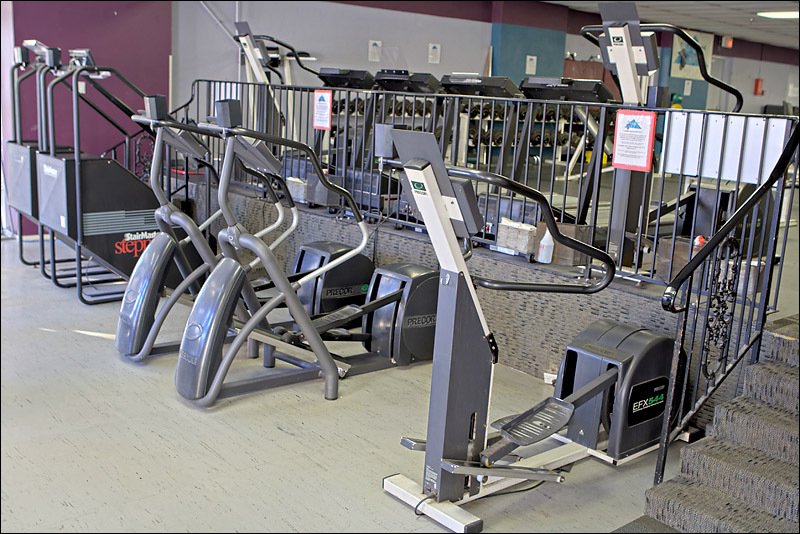 Our clinic is centrally located within the Assiniboine Athletic Club located in Fort Garry Place. As a unique Manitoba physiotherapy clinic, we have over 7,000 sq. ft. of exercise space available for each Physiotherapy Works! patient. The bright, naturally lit, fully equipped weight room provides a complete range of free weights, machine resisted training options and an extensive array of cardio equipment. Full length mirrors are located throughout the health club to allow for proper technique visualization. A lifting station, weighted push/pull sled and push/pull cart provide for work simulating activities. A stairwell is also located close by for stair climbing activities. The adjustable machines can also be utilized to simulate work related activities. A newly renovated 16 meter swimming pool with a 4 foot shallow end is also located on site. This makes for a unique reconditioning environment allowing aquatic therapy to be available as a supervised individual or group aquatic exercise therapy program. Aquatic therapy can also be a stand alone rehabilitation program or to be used in conjunction with a traditional reconditioning strengthening program. A running, triathlon, or sports injury? A workplace injury that’s preventing you from going back to work? An injury from an auto accident? Back or neck pain, headaches, arthritis, or everyday aches and pains? If so we can help you! Whether you run for fun or are a competitive athlete we can treat your running or sports injuries. Don’t let pain slow you down....Physiotherapy Works! Our reputation has been built on successfully returning our patients back to enjoying a fun, healthy lifestyle. We work hard to expedite your recovery through closely monitored programs that are personalized for you.